It’s been ages since I’ve put together a list of all my favorite Windows apps. So, here goes with an update! What would you add to this list? How do I update to the latest version of Windows 10? How do I protect/secure my Windows 10 Computer? How do I encrypt my data so hackers can’t get to it? How do I secure my WiFi Connection from Hackers and Surveillance? How do I capture/edit images? How do I work with sound and video? 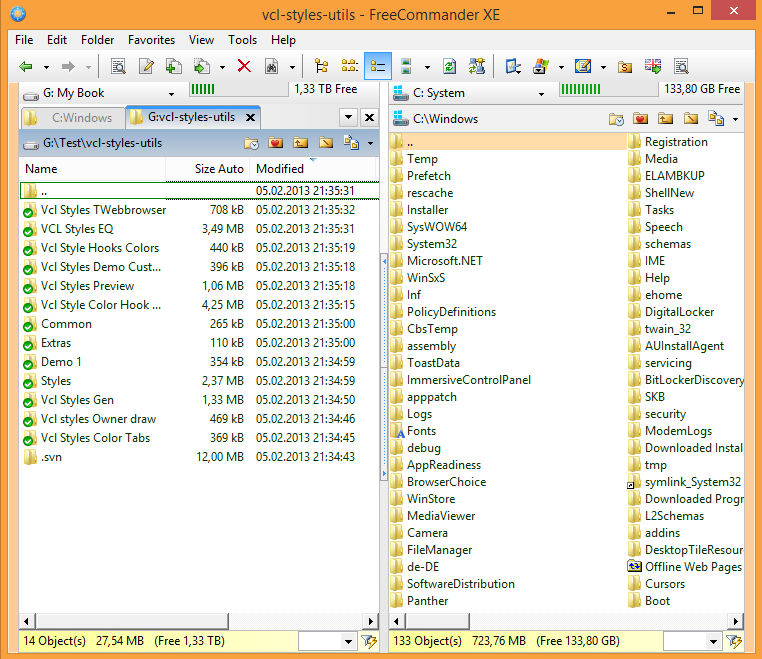 How do I quickly add or find free software? How do I remotely control my Windows computers? How do I read ebooks on Windows 10? And, if you are looking for Microsoft apps for your surface book/table or, maybe just great Win10 programs, you can click those links to find TONS of info. 1. How do I update to the latest version of Windows 10? Use the Microsoft Update Assistant to start the process of updating your Windows 10 computer. I recently updated to Windows 10 Creator’s Update and so far, so good! 2. How do I protect/secure my Windows 10 Computer? AntiRansomware – Although still in beta, Malware Bytes’ solution to ransomware offers real-time protection against ransomware, catching it before it can encrypt your files. Spyware Blaster*– An easy to use “inoculation” program against spyware/malware. Spybot Search and Destroy* – The best part of Spybot is the TeaTimer which protects your computer’s registry against contamination and immunizes your browsers (IE, Firefox) against malware. BitDefender Free – This free for home use antivirus works great and does not drive you crazy with advertisements. Sophos Home Antivirus – This is another protection free for home use. 3. How do I encrypt my data so hackers can’t get to it? Get the cross-platform version of ParanoiaWorks’ Secret Space Encryptor (SSE). Chromebook or use Google Chrome? 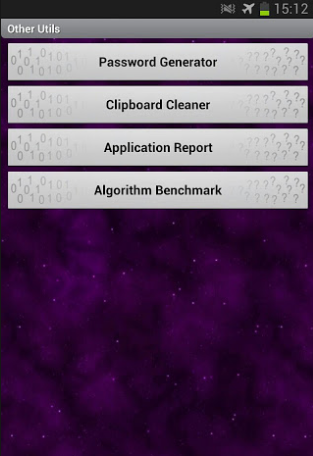 Get ParanoiaWorks’ Secret Space Encryptor (SSE) for Android from Google Play store. You may also want to get a copy of File Shredder for Windows to securely delete information from your Windows computer. 4. How do I secure my WiFi Connection from Hackers and Surveillance? Not sure this is necessary? It is and increasingly so. Be sure to take this information to heart. “Virtual Private Networks provide an important element of privacy protection for users,” Electronic Frontiers Association says. . .VPNs [are] one of the most effective tools for protecting privacy when using the Internet, due to the degree of anonymity they provide when accessing online services. 5. How do I capture/edit images? Paint.net (Free) – A simple paint program, but you can do some simple photo/image editing in it. Windows only. PaintBrush (Free) – A simple paint program, like Paint for Windows. Mac only. Pixlr.com (Free) – Provides an express editing, as well as a more detailed app you can work with! Also available as iOS app. Fotor Photo Editor Online (Free) – A great app to use for photo editing that works via your browser, Android or iOS device. IrfanView (Free) – A simple editor that allows you to resize images. Windows only. The Graphics Image Manipulation Program (GIMP) (Free) – A cross platform “Photoshop” like tool. Can be complicated for newbies. 6. How do I work with sound and video? 7. How do I quickly add or find free software? Ninite.com: Install and Update All Your Programs at Once. Scroll down to see all the available apps. Get my favorite Ninite picks! 8. How do I remotely control my Windows computer? Wish you could remotely control a computer from work or home? Perhaps you need to have an online meeting? Try one of these solutions. 9. How do I read ebooks on Windows 10? There are many solutions, including ones available for Mac. 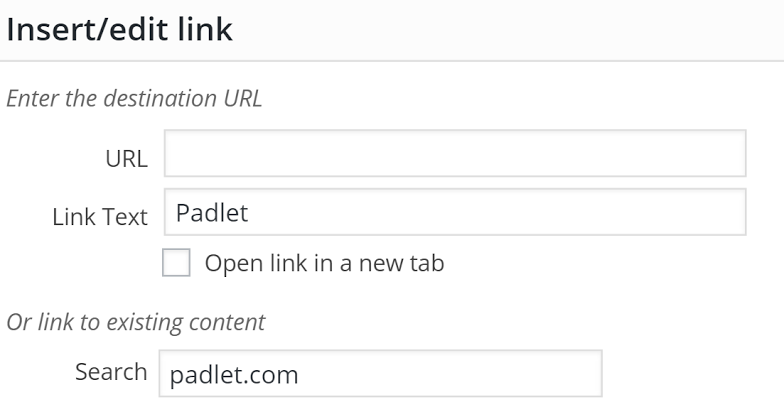 Since I’m now contributing to a WordPress blog on a regular basis, one of the annoying aspects of WordPress includes a terrible way of handling links, as shown in the picture below. It takes 3 clicks to get things done. As a result, I’ve started looking for an alternative blog entry composer, another way of writing and submitting to WordPress. I have to click on the “open link in a new tab” box. What a pain! One of the solutions I stumbled upon, almost immediately, is the Open Live Writer, a Windows program for the new Windows 10 machine that I’m carrying around these days (OneNote IS the killer app). 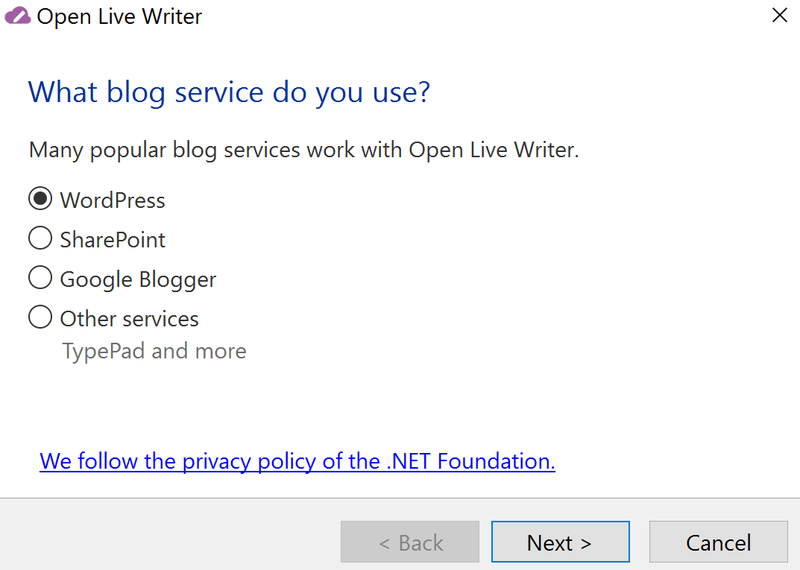 Open Live Writer looks like a free open source version of Windows Live Writer (which you can still get but hasn’t kept up with the times), and works surprisingly well (Microsoft and Windows are surprising almost every day with how wonderful they are). As you can see from the image above, one of Open Live Writer advantages over Windows Live Writer is that it supports WordPress and Google’s Blogger (my favorite blogging tool!). The former has worked quite well. 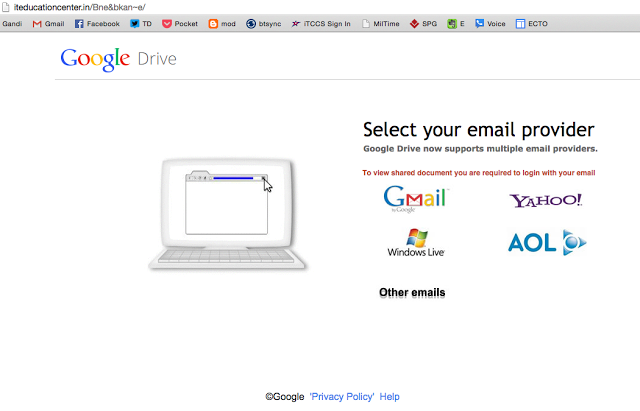 Earlier this year, you saw how emails were being used to spread a web site that sought to steal your GoogleApps login credentials. 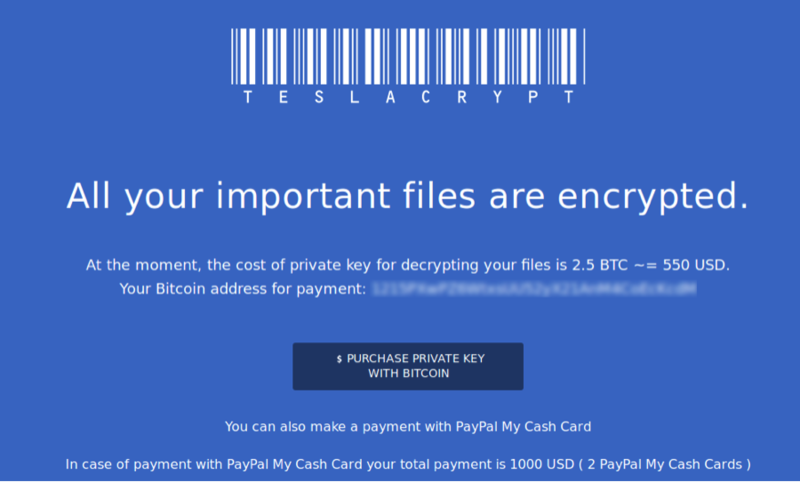 Over the last few days, staff opening ransomware–a form of software that infects your machine when you double-click on it and encrypts your files, then demands you pay them for decrypting them–included in email attachments have unwittingly spread the virus across the District. Look before you click! Avoid clicking on email attachments that come from people you do not know. Email attachments with “exe,” “zip,” are suspicious. Also, do NOT go into your SPAM folder on GoogleMail and click on the email attachments. Those messages are marked as SPAM because they are unwanted, inappropriate, and/or may contain malware email attachments. Connect before opening. Even if you DO know someone sending you a file, ask yourself, “Was I expecting a file from this person?” If yes, call and connect with them…ask, “Did you send me this file?” If the answer is “No,” then delete it. If it’s important, they will reach out to you again. Avoid clicking on email attachments via your personal email on a work computer, especially if it is a Yahoo email account given the types of malware spreading ads that find themselves displayed on that service. Scan files before opening them. You can right-click a file, save it to your computer, then choose to virus-scan it before opening it. If you don’t know how, ask your campus technician or a tech-savvy person nearby. 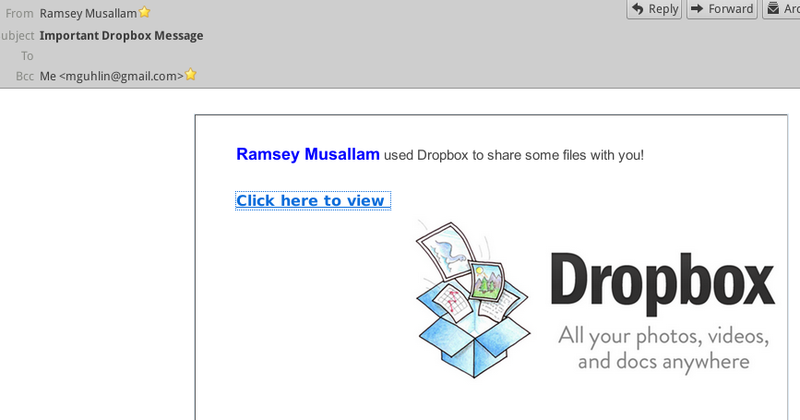 When you examine the “Click here to view” link, I found a link to a non-Dropbox web site in the UK. The goal of these sites is to steal your information! Don’t fall for it! 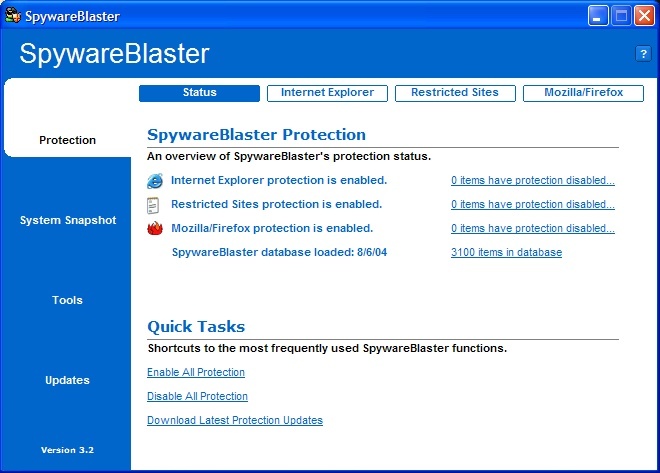 Spyware Blaster*– An easy to use “innoculation” program against spyware/malware. 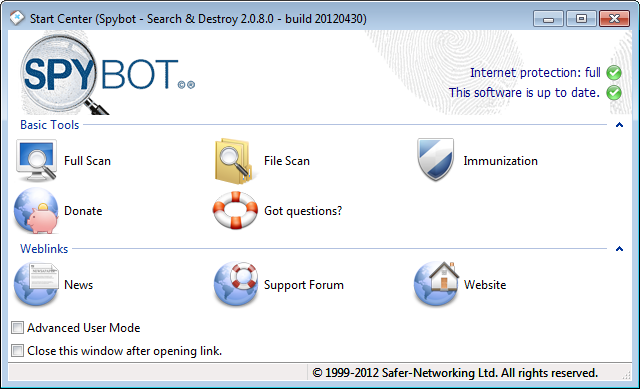 Spybot Search and Destroy* – Best part of Spybot is the TeaTimer which protects your computer’s registry against contamination and immunizes your browsers (IE,Firefox) against malware. 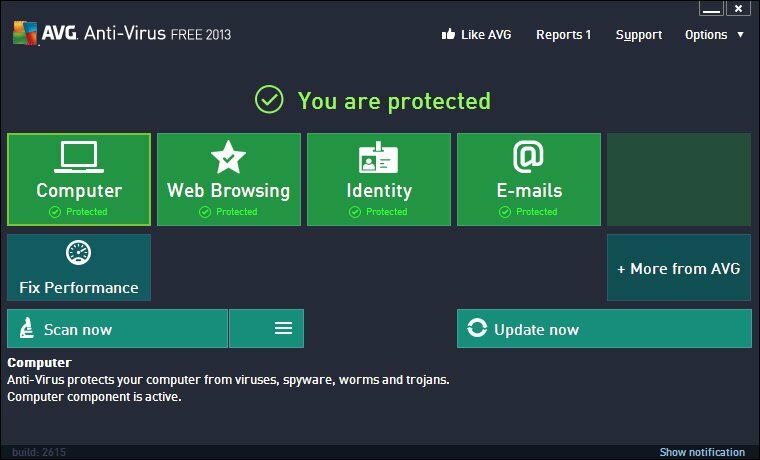 AVG AntiVirus* – A nice antivirus program. 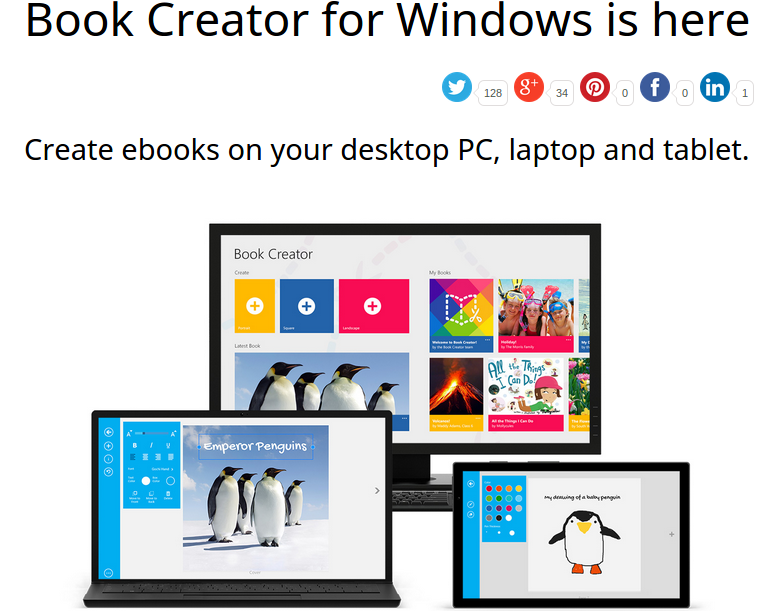 We are proud to introduce Book Creator for Windows, released on the Windows Store on 23 June. What’s more, we’re giving it away for free (limited period only!). Free on the Windows Store now! 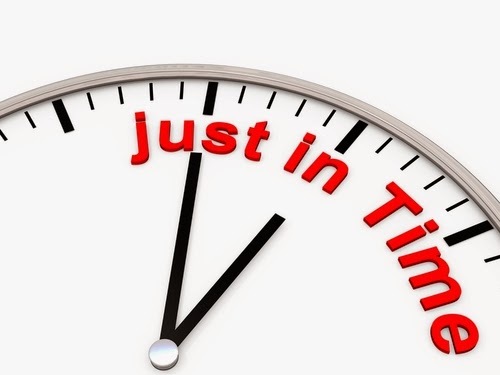 Are you a “just-in-time” learner? If not, you need to be! Two situations in the last few days have brought home again how important it is to be able to sift through online content then solve a problem by applying it. “What do you mean you forgot your password?” I challenged a colleague. He’d just bought a new Windows 8.1, super fast, gaming machine–the keyboard had red lights on it, blinding fast graphics card–but when he received it, the first thing he did was put a super-complicated password on it…even though he knew I’d be coming over to help him get innoculated/immunized against malware and viruses. Rather than spend an hour with Ninite.com, installing programs (actually, less than that, Ninite.com a service that makes it easy to select critical free and/or open source software then download an installer that automates the process for you rather than making you do it), I had to spend time figuring out how to “blank” his administrator username and password. Put 64bit Ubuntu on a USB flash drive and boot up the computer from flash drive. You can find the instructions I followed online here and here. He didn’t know but suggested, “Why don’t you download a torrent?” I didn’t think that was such a good idea, not because bit torrents are bad or anything for these purposes, but because, well, that just seemed the hard way to do stuff. And, you need at least an 8gig USB drive. Wow, what an easy process. At the end, the computer even “roared” like a lion to let me know it was done. I’m not kidding, an actual lion! There you go…two tasks that would have been impossible or difficult, but were actually quite easy. Of course, I’m glad I had a few USB flash drives laying around. Windows Slowing Down – What to do? It’s been 2 years since I bought my computer and it’s just slowing down a lot. What can I do to speed it up? Resisting the urge to speak up and say, “Load LubuntuLinux on it!” I listened intently for the response. After hearing the recommendation of Malware Bytes, I realized my response would probably be a bit longer, more involved and not conducive to party conversation. 1) Install Malware Bytes and run it. If you find stuff, run it again and again until it’s clean. 2) Install Spybot Search and Destroy, then run updates. Run System Scan until it comes up clean. 3) Apply Immunizations using Spybot. 4) Install Spyware Blaster, update, and then apply immunizations. 5) Install CCleaner with CCEnhancer to clean your registry and remove silly Yahoo toolbars. Also, get rid of startup programs that may be slowing down your computer. 6) Uninstall McAfee antivirus or Norton Antivirus that came with the machine and install the free version of AVG Antivirus. 7) Get Patch My PC Updater and then run it. It will update all your programs. 8) Run CCleaner again and clean the registry. Restart your computer…should be as good as new! Please realize that this process, depending on whether your machine is suffering an infestation, can take several hours. My recommendation is that if you have more than 200 malware items detected, then you need to shut the machine down, start up off a GNU/Linux USB flash drive and backup your data immediately. How funny that this remains the most often asked “technology” question asked at parties. I’m grateful that I was able to travel incognito at the last one, but I wish I could have just given her a web site that said, “Here, follow the steps on this web page!” Perhaps, now I can! Have you ever done the half-awake, disaster dance? You know, that lousy moment when you drop a jar on the floor and it explodes, leaving you stranded barefoot on your kitchen floor? 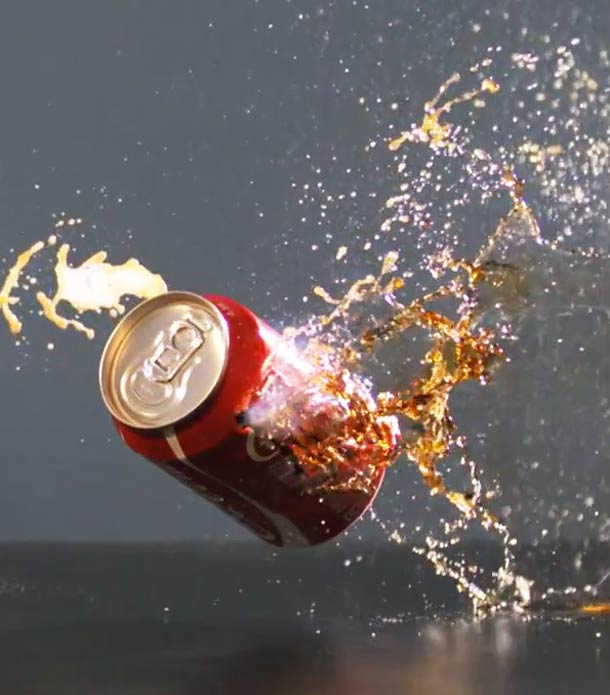 Or, that moment when a coke explodes because you forgot to open it gradually (come on, Coke, there has to be a better way!) and stains the ceiling and walls? “Why did you do that?” My panic center sends out an alert, bypassing my normal, cool relaxed approach. Spouse clicked on zipped file. Bouncy windows in the background. Major Windows Beware announcements everywhere. The thought of re-imaging a hard drive that I’d just setup this weekend–What horror! Running Windows? 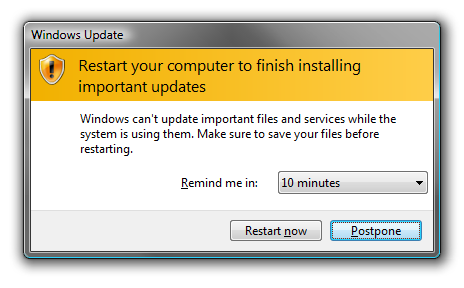 You should probably run your updates about now. 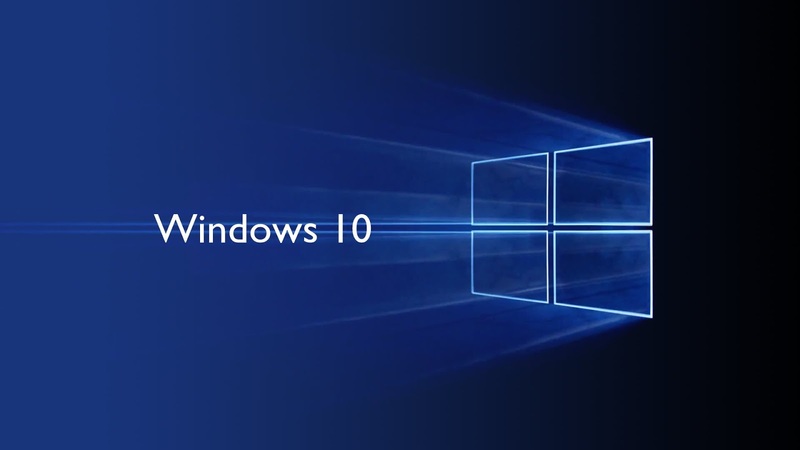 A serious new vulnerability has been confirmed as present in all versions of Windows from Vista onwards which has the potential to let hackers execute their own arbitrary code. The issue (CVE number CVE-2014-6321) is rated critical by Microsoft, and affected users are being strongly encouraged to update their systems. “Yes, sir! LubuntuLinux!” I replied as I sipped my hazelnut capuchino. “At least, one one side of it” referring to the dual-boot process possible. Of course, my preference is to use something like PartImage, PING, FSArchiver, or, sigh, DD. Whatever is most exciting. View original version (via 10ZIG Technology). Here’s a copy of the memo I sent out to my colleagues about Internet Explorer vulnerability…what would you adjust/change? Windows XP Warning – DO NOT use Internet Explorer on a Windows XP computer; this bug will go unresolved. What To Do – Use Google Chrome or Mozilla Firefox, if available. Windows 7 and 8 Warning – Do NOT use Internet Explorer versions 6-11 until an update is released. The District Technology Department will track this problem and notify you. What To Do – Use Google Chrome or Mozilla Firefox instead of Internet Explorer. DISTRICT staff and students have access to other Internet browsers–like Google Chrome and Mozilla Firefox–that they can use instead of Internet Explorer. Rail Against Big Brother, Blah, Blah, Blah! What?!? Are you kidding me? Let me put this in simpler language–Apple will help the Government block transmission of information, video and photographs at public gatherings. Who makes that decision? The government officials. I don’t know about you, but democracy works because we know that human beings are flawed. Walking down the aisle at our local restaurant, I couldn’t help but notice how many people, young and old, had iPhones in their hands. It may be too late. After startling news that someone – probably a government agency – was exploiting a vulnerability in Firefox to spy on its supposedly anonymous users, the TOR Project is now asking everyone to take a step back and stop using Windows. It’s not just this latest episode of snooping, though. Windows just isn’t a great operating system in terms of security in general, they say. “Really, switching away from Windows is probably a good security move for many reasons,” the TOR Project said in a security advisory. But for this specific exploit it was especially bad since the hackers – probably a government agency – specifically targeted Windows users. While I’m not an anti-government activist, I do vote in elections and it’s becoming impossible to find a candidate that respects the U.S. Constitution and won’t sacrifice basic freedoms Americans have given their lives to preserve. Looking for a cross-platform encryption tool? As I’ve shared in the past, one of my favorite apps for encrypting content is AESCrypt.com, which is available for Mac, Windows, and Linux. AESCrypt.com does have an Android version (Crypt Lite4All). But AESCrypt only works on files, not folders or text messages on an Android phone/tablet. Enter Secret Space Encryptor (SSE). Take a look at the beautifully designed, open source Secret Space Encryptor (S.S.E. on Android). It comes in a java version that works with a GUI and a command line. You can tell they spent some time on Android developing this, though. It not only allows you to encrypt files, but also text messages/notes, as well as securely wipe folders on your Android device. Awesome! Using it, you can securely store passwords, encrypt text messages, and encrypt individual files and entire folders. The app offers several strong encryption algorithms, including 256-bit AES, 256-bit Serpent, and 256-bit Blowfish. SSE consists of three modules: Password Vault, Message Encryptor, and File/Dir Encryptor. The Password Vault module allows you to safely store passwords and organize them into folders. 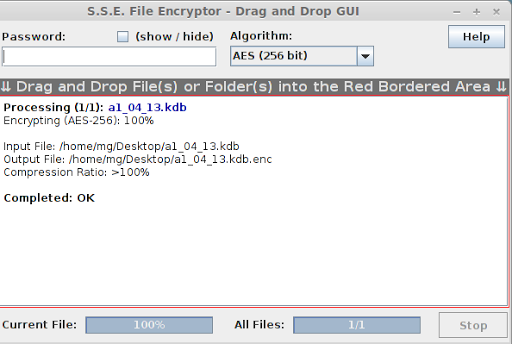 The Message Encryptor module can be useful for encrypting text notes. You can paste the existing text from the clipboard, encrypt it, and copy it back to the clipboard. Alternatively, you can save the note in the built-in database for later use. I’ll have to play around with this tool some more, however, a nice feature is the ability to move back and forth across platforms using SSE File Encryptor! 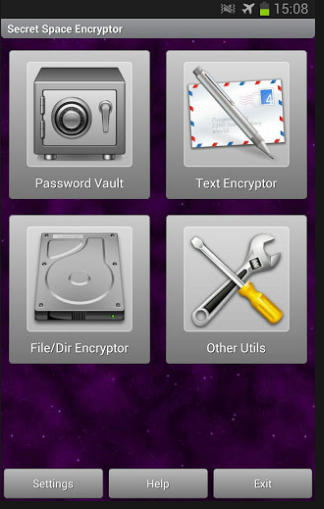 This Message Encryptor makes encrypting text messages easy! Too bad there isn’t an iOS alternative yet. Yesterday (or was it early this morning? ), I shared how much fun I was having replacing Evernote note-taking options with text editors that would work with Dropbox. It is simply amazing to save something on one device and see it immediately available on another. Synchronization happens so quickly because it’s just text files flying by. As I explored apps like Draft ($4.99) on my Android phone and Byword on iPad, I became aware of markdown. If you’ve ever used wiki syntax–such as in Wikispaces.com–you are familiar with markdown. Wikipedia has a nice overview available with commands worth checking out! Here’s what it looks like in ReText, a markdown/text editor for UbuntuLinux, although these are certainly available for Windows, Mac as well! What’s neat about these editors mentioned in this blog post is that they connect to Dropbox. So you get nicely formatted notes that are quick, easy to access via Dropbox. Check out this example of a blog post where I just copied and pasted…. On Android, Draft ($2.49)is the app to get. 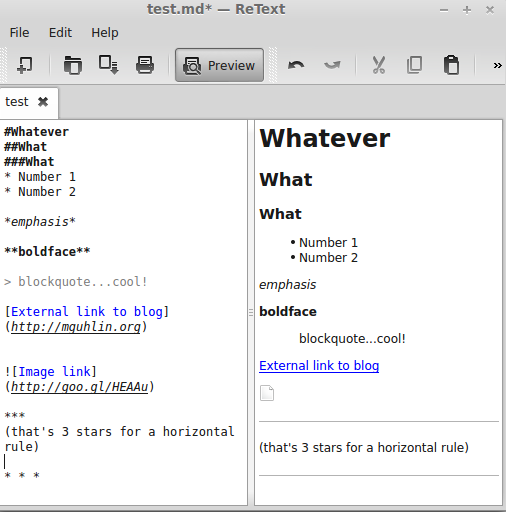 It allows for markdown (md) format for your text files. This allows you to bold,as well as other things, your text, which is a plus! On iOS, use Nocs (free) or if you need more firepower, use WritingKit. On Mac, try Byword. 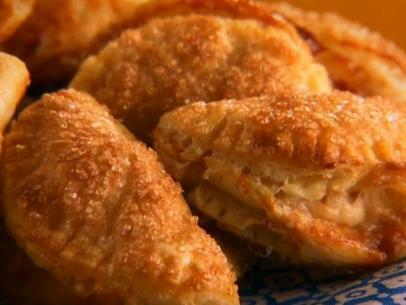 It’s also available for your iPad, so it may cover both angles for you. I know, I know…you’re saying, why go through all this trouble when you have everything else? For a writer, it’s the blank page and the word. I’ve found that when I change the medium I’m working in, it enhances my writing process, making it easier for me to get in “the zone.” I don’t know why that is, I just enjoy it. A recent conversation on a tech director listserv made me sit up a bit and want to write down a few of the solutions they use to keep Windows installations up to date. AppUpdater – Appupdater provides advanced functionality to Windows, similar to apt-get or yum on Linux. It automates the process of installing and maintaining up to date versions of programs. It is fully customizable for use in a corporate environment. Ninite Pro – Pick your apps then use the Ninite created installer to get the latest versions of those apps installed on your computers. The Pro version enables you to do even more. NPackd – Npackd (pronounced “unpacked”) is an application store/package manager/marketplace for applications for Windows. It helps you to find and install software, keep your system up-to-date and uninstall it if no longer necessary. You can watch this short video to better understand how it works. The process of installing and uninstalling applications is completely automated (silent or unattended installation and un-installation). There is also a command line based version of Npackd. 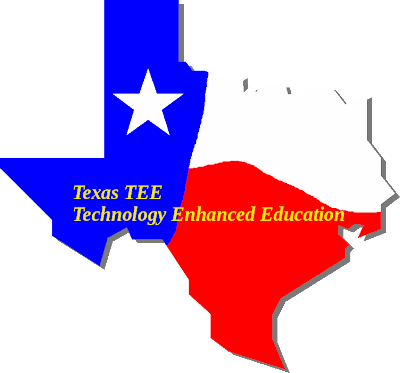 About two years ago, new Dell 2100 netbooks found their way into a large urban school district. Unfortunately, they came without adequate webcam software. What to do? I looked around on the web and promptly found Yawcam–Yet Another WebCam Software. Yawcam is a shortening for Yet Another WebCAM software, and that’s exactly what it is 😉More precise Yawcam is a webcam software for windows written in java. The main ideas for Yawcam are to keep it simple and easy to use but to include all the usual features. Yawcam is completely free to use! Java Runtime Environment (JRE) 6 or later. Don’t you love vendors who make decisions about what’s right for you without so much as a by your leave? Of course not. But then, when the service is available at no cost, do you have a right to complain? On October 1st, Google Docs users won’t be able to download or upload documents, spreadsheets, or slideshows in Office 1997-2007 format…It’s simply a rather quick turnaround for some users who relied on the exporting ability: they’ve only got a week to adapt. The resounding howl of anguish will soon find its way among educators who have embraced GoogleApps. Who doesn’t have an old copy of MS Office installed on computers and relies on it for creating documents with tables? One of my favorite gripes about GoogleDocs word processing and spreadsheet component is that auto-format is non-existent. Why is it so hard to setup alternating rows of cells with grey backgrounds? The only winner of this “We’re going to wield our mighty power and no longer support Microsoft products (e.g. older versions of Internet Explorer and MS Office)” power struggle is…well…no one. Well, maybe the folks who make LibreOffice who do provide backward compatibility for saving MS Office formats, etc. The following features are intended for release to these domains on October 1st:Docs: The built-in exporting feature from Google Docs to Microsoft Office will now allow users to download Google documents as modern Office formats (.docx, .xlsx, .pptx), as opposed to the older formats (.doc, .xls, .ppt) that were standard in Office 97-2003. For users who still use Office 97-2003, we recommend installing the free compatibility plugin from Microsoft, which will allow them to open modern Office file types. What do I think you should do? I encourage everyone to start using free, open source software again if they’re using desktop/laptop/netbook computers. Now, time to clean out my Gmail account…argh, 27,000 emails to go. Sigh. 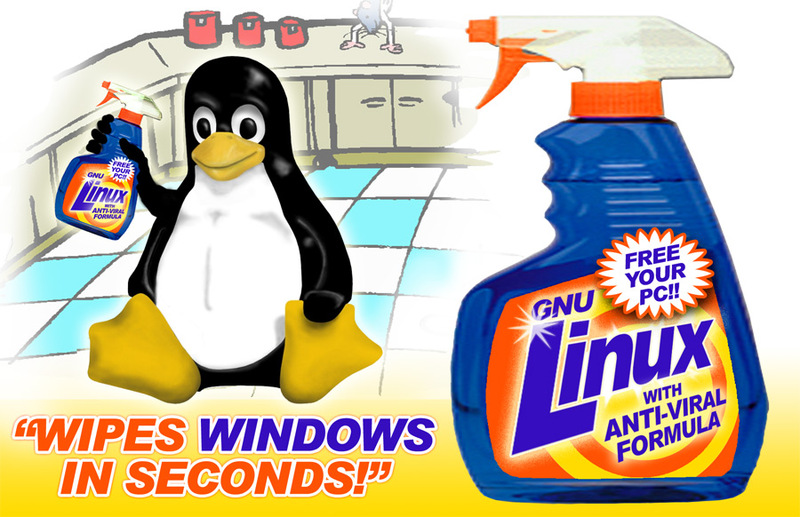 I use Linux every day and love it. “Please help…I have a computer that is infected. The browser (Internet Explorer) keeps going to homepagepark.com as the home page,” wrote one desperate techonology user. “I’m sure there is a free spyware removal tool I can use, but after searching I found that some of the ones that come up are actually rogue spyware programs themselves – like Antispyware 2008.” Fortunately, the tools available for installation on personal netbooks have gotten better. If you want the software right away, jump to Step 2 and get AVG AntiVirus and MalwareBytes. First, right-click on your “MY COMPUTER” on your desktop (or look under START PROGRAMS). Second, I would recommend you boot up off a CD-ROM or bootable Flash Drive, and, third, run these programs off your USB Flash Drive (check the section further below for screenshots of what that looks like). AntiVirus Tools:While there are many antivirus tools, there is only one that is worth installing on thousands of computers. The damage caused left by viruses and spyware to your Windows Registry can be catastrophic. To fix those problems, you need to take advantage of two tools that will help you 1) Uninstall undesirable programs completely and 2) Clean up your Windows registry. And, since in the worst case scenario, it’s not a bad idea to make regular backups of your work. Before restoring your work to your freshly cleaned computer, make sure to clean it! Since I zealously guard my Windows and Macintosh machines–and run GNU/Linux whenever possible–I haven’t paid much attention to the DNSChanger issues I tweeted about last night. However, if you have a Mac or Windows computer, I do encourage you to read and take action. Note that iOS (e.g. iPads, iPods) as well as Android and Linux are in the clear. Also, if you have a router at home and haven’t changed the default user/password on it, an infected machine can still mess things up for your wireless network users (e.g. iPad, Android) and connect to fake sites. Canada residents – http://www.dns-ok.ca – be sure to scroll to the bottom, click I AGREE then the test will run. In case you haven’t heard, according to the FBI, there may be over 300,000 computers unable to access the internet on Monday due to a malware infection called the DNS Changer Trojan. This is because when the FBI shut down the ring of cyber-criminals that created the Trojan late last year, the FBI discovered that if they also shut down the malicious DNS servers which were being used to redirect users to malicious sites or ads, it would prevent millions of users from being able to access the internet. On Monday, July 9th, the original court order the FBI obtained that forced these servers to stay online while the FBI attempted to correct the problem, will expire, and when these servers shut down, thousands may have their internet access cut off without knowing how to repair the problem because their DNS server will be gone. DNS servers essentially instruct a system on how to navigate through the internet. The DNS Servers basically act as an interpreter in a foreign land, helping a visitor that doesn’t speak the local language to be able to communicate with the locals and figure out where to go for food, lodging, etc. When these servers shut down on Monday, this interpreter will be gone and these computers will have no way to communicate with the locals, so, if you were the visitor, you would be stuck and unable to continue your travels. This will affect the everyday consumer the most because most infections were spread by drive-by downloads, i.e. the piece of malware was unknowingly downloaded to their computer when they went to a web site that looked completely innocent. This points mainly to a consumer population as the target. The advice that is being put out is that users need to check if they are infected using the online scanner at the FBI-run DNS-OK.US site, or by manually “checking the DNS server IPs, however, that can be a complicated maneuver for the non-tech savvy individual to handle. The easiest solution is to go to www.malwarebytes.com and download the free anti-malware Malwarebytes, and run a scan. The free Malwarebytes Anti-Malware will automatically inspect the DNS settings on the users system and determine whether or not the system is using the malicious DNS servers. If the computer is infected, Malwarebytes Anti-Malware will automatically modify the settings and fix the computer’s registry which set the default DNS servers. If any of the malicious IP addresses are present, Malwarebytes Anti-Malware will remove these bogus addresses, as well as any other malware infections from the computer, ensuring that the computer will obtain the correct DNS addresses from their internet server providers. In other words, Malwarebytes will find a new interpreter for every desktop, for no cost and very little hassle as the software downloads in less than a minute.